Check out our article on the historical accuracy of the 1st season of Versailles. Season 2 of Versailles focuses on increasing tensions at court as the nobles have numerous feuds against each other as well as with the king. Meanwhile, new religious fervor, headed by the queen (Queen Maria Theresa of Spain). External threats are also present, with William of Orange becoming more powerful in Holland and threatening Louis XIV's hold on power. The second series begins at around 1671, a few years after Season 1 ended. By this point, the Dauphin (the eldest son and heir of Louis XIV) has been recovered and the plot against him by Protestants and the Dutch has been thwarted. This kidnapping was creativity, which likely never occurred in Louis' reign. There was continued unrest, however, stemming from earlier revolts against the King and French nobility in general, during the so-called Fronde rebellion that occurred during Louis' childhood. This led to courtiers to spy and sometimes attempt to thwart Louis' ambitions, including through poisonings. Many of the poisonings were also done between nobles, as they attempted to attain power or kill rival nobles, such as the killing of one of Louis' ministers (the Affair of the Poisons). This event largely took places after Season 2 but seems to make it as part of the season. 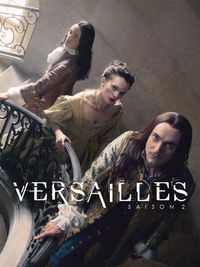 Several main characters are killed in the second season, including Claudine (the doctor) and the chief gardener at Versailles. Meanwhile, Louis and his brother (Philippe I, Duke of Orléans) continue their feuding, where finally the Duke returns to court under the wishes of his brother. In fact, a key event is the marriage of the Duke, after his wife (who was purported to be Louis' lover), had died, allegedly from poisoning in Season 1. The new marriage, with Princess Palatine, seems to start at a difficult level for the two, given Philippe's homosexuality complicating the relationship, but soon it evolves into a friendship with the Duke sometimes performing his duties in the marital bed despite his sexual preferences. In fact, this causes tensions in the episodes, as the Chevalier, the Duke's lover, becomes jealous and increasingly worried he has lost his lover. Conflict with Holland erupts by 1672, the so-called Franco-Dutch War. This war allowed the Prince of Orange, William III, to arise and claim undisputed power of the Dutch. However, this war proved to be difficult, despite Louis triumphing eventually in 1678, as numerous battles proved to be costly in material, men, and finances in particular. William III proved to be a cunning enemy and this was heavily portrayed in the series in manipulating power within Holland and using the natural features and canals and dykes to make the terrain difficult to fight in as Louis attempted to advance his interests in Holland. A greater focus in Season 2 was on Madame de Montespan, who was Louis' lover despite being married. During this time, her influence on the king increased and there was much greater animosity between the queen and Madame de Montespan. In fact, historically we know Madame de Montespan had several children with Louis and in the episodes one of these pregnancies was shown. This caused much angst, by the queen and the church, as Madame de Montespan continued to have a high profile position within the court despite her evident pregnancy. While the queen turned to the church to condemn her, Madame de Montespan turned to a fortune teller to help her navigate the politics of Versailles and keep the king's interest in her and thus maintain her power. The long-running Affairs of the Poisons also implicated her, as she did attempt to poison potential love rivals that the king took interest in. This jealousy was a key focus in the episodes, even though Madame de Montespan often tried to avoid her direct fingerprint on plots within the court, but we see potential new women in court closely watched by Madame de Montespan. Versailles Season 2 takes far more liberty with historical accuracy relative to Season 1. In fact, some events begin to combine different periods in Louis' reign. Generally, the conflict with the Dutch, Affairs of the Poisons, common court feuds, including between Madame de Montespan and the queen, did occur, but the details were often likely different. Many characters are shown as jealous and power hungry, which is generally true from what we know. Various characters, including Fabien Marchel, who is the chief investigator and private enforcer, are fictional. Louis XIV: This season shows Louis having more difficulties sleeping. In part, he seems haunted by his image and whether or not he would make a good king and leave a lasting legacy. His affair with Madame de Montespan causes problems for him, particularly at court, with the queen, and the church. The church was known to have rebuked Madame de Montespan, by refusing to give her communion, and trying to get Louis to end the affair. However, this never ultimately succeeded. He even eventually legitimizes his children with his lover, a move that caused a lot of anger in the church. Louis still shows himself being a strong character when it counts and making decisive decisions, despite his worries and deep stress. Madame de Montespan: Her character was developed perhaps more than any other character in Season 2, as she now fights and tries to maintain her power position as the chief mistress to the king. Her hold on power is displayed, where Louis' ministers begin to question if she is having too much influence on the king and affecting his decision making in political areas. Her willingness to use whatever means needed to hold onto her power have some accuracy, as there is evidence she used her wit and charm to attain relatively high power for a period and was willing to poison her rivals. Princess Palatine: She is the one major character who is new in this season. She is shown as a naive princess when she arrives in court, dressed inappropriately and sometimes made fun of. However, it is clear she learns and finds a way to adjust to her role as the wife of Phillipe despite knowing she will never find deep love with him. In effect, she makes the most out of a difficult, political situation she was forced into. There is some truth to this, as Princess Palatine and Phillipe were reported to be relatively happy together despite the apparent sexual incompatibilities. They managed to have several children, who went on to be the chief Catholic line of European kings and queens in the decades and centuries after them. Many letters left behind by the princess have allowed scholars to more effectively understand her life and legacy. 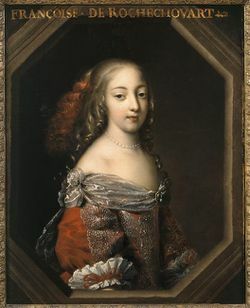 Marie-Thérèse: Her character becomes more religious, at least outwardly, in Season 2, although this is suggested to be, in part, as a way to go against her rival, Madame de Montespan. There is likely truth to this, as the queen likely had relatively little power as Louis favored his mistress. However, in reality, Louis did continue to perform his royal duties and slept with Marie-Thérèse to produce legitimate heirs. His many mistresses indicates that neither she, nor Madame de Montespan for that matter, were effective in fully controlling Louis. She is depicted as a person trying to remove the general debauchery found at Versailles. 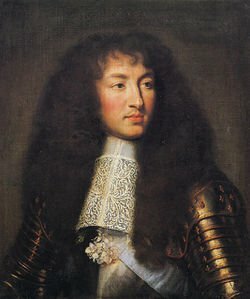 In the 1670s and 1680s, Louis XIV increased his influence not only in France but across Europe as well, as his reputation as the strong ruler of France began to be evident in the battlefield at through his grip on power. Versailles is more about the tensions that this caused, whether in Louis' court, or abroad, as rivals such as William III tried to thwart his plans in becoming the master of Europe. Season 2 takes more liberties with events, embellishing characters' personalities and not always following the timeline of when key events occurred. For instance, the Affairs of the Poisons was slightly later than many of the poisonings depicted, while characters being killed off, such as Louis' chief doctor, likely never happened. Nevertheless, some of the key personalities, their ambitions, desires, and weaknesses do reflect what happened. Influential characters historically, such as Louis and Philippe, have their key personalities that influenced their decisions shown in the episodes, but conflicts between the brothers and other disputes took likely liberty from historical accuracy. ↑ For more background information on this period of Louis' reign, see: Sonnino, P. (1988) Louis XIV and the origins of the Dutch War. Cambridge studies in early modern history. Cambridge [England] ; New York, Cambridge University Press. ↑ For more on the new marriage of Philipe and the political reasoning behind this, see: Barker, N.N. (1998) Brother to the Sun King--Philippe, Duke of Orléans. Baltimore, Johns Hopkins University Press. ↑ For more on the war with the Dutch, see: Collins, J.B. (2009) The state in early modern France. 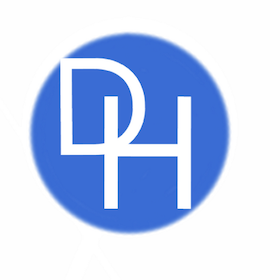 New approaches to European history ; 42. 2nd ed. Cambridge, UK ; New York, Cambridge University Press. ↑ For more on events around the court of Louis XIV, including conspiracies and events, see: Funck-Brentano,Frantz and Maidment, George. (2010)<i> Princes and Poisoners, Studies of the Court of Louis XIV. Nabu Press. ↑ For more on Louis' reign from the 1670s to 1680s, see: Young, W.A. (2004) International politics and warfare in the age of Louis XIV and Peter the Great: a guide to the historical literature. New York N.Y., i Universe. ↑ For more on Princess Palatine's role in court and her relationship with Philippe, see: Orléans, C.-E. & Kroll, M. (1998) Letters from Liselotte: Elisabeth-Charlotte, Princess Palatine and Duchess of Orléans, ‘Madame’ 1652-1722. London, Allison & Busby. ↑ For more on Marie-Thérèse and her conflicts in court, see: Fraser, A. (2007) Love and Louis XIV: the women in the life of the Sun King. London, Phoenix.